On Monday June 25th 2007, WWE Wrestler Chris Benoit was found dead along with his wife Nancy and their 7 year old son Daniel. Their bodies were found by authorities who entered his home on a welfare check after several missed appointments and concerns. Initial investigations later revealed that Chris Benoit murdered his wife and son before hanging himself by the chord of a weight machine in his basement. Both his wife and son died of asphyxiation. Nancy Benoit’s wrists and feet were tied and she had bruises on her back and stomach consistent with someone pressing a knee into the small of the back while pulling on a cord around the neck. It is believed that his son was killed with a chokehold as he had internal injuries to the throat area but had no other injuries. But the real question that is baffling everyone is why Benoit would all of a sudden turn into a monster. Steroids are being suspected as one of the primary reasons. It was no hidden fact that steroids were rampant in the wrestling profession during the old days. But stricter legislations more than a decade and a half ago had made it difficult for the wrestlers to obtain and abuse the usage of steroids. The WWE, predictably, has strongly denied the possibility of steroid abuse stating that Chris Benoit was found clean even in his last checkup. However, as was illustrated by the sudden demise of Eddie Guerrero (also a close friend of Chris Benoit), the ghosts of those carefree days will always continue to haunt pro-wrestling. Adding fuel to the steroid rumor is the fact that steroids (albeit legally obtained) were found at Benoit’s home. The Authorities also believes that alcohol too was consumed. Steroids are known to cause uncontrollable rage and paranoia. The state of mind that Benoit was in can be ascertained by the 5 text messages that he had sent to a co-worker; four of these stated “My physical address is 130 Green Meadow Lane, Fayetteville Georgia. 30215”. The fifth said “The dogs are in the enclosed pool area. Garage side door is open”. This certainly throws a glance at the man’s mental state. There are also reports that Benoit and his wife often used to bicker over the time spent by him in taking car of his autistic son Daniel. 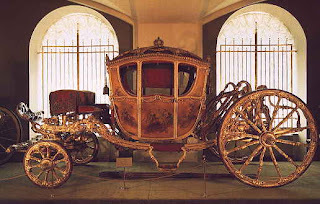 It is believed that this was often a constant source of tension between the couple. Nancy Benoit had filed for divorce and had even obtained a restraining order against Chris Benoit in 2003. This would therefore suggest that not everything was well in the Benoit household. Then there is the disturbing fact that the deaths happened on three separate days. While it is reported that his wife died on Friday, his son died on Saturday. Authorities believe that Benoit may have then killed himself later Saturday evening or early Sunday morning. A Bible was found next to the both Nancy and Daniel’s body. It can therefore be speculated that he killed his wife premeditatedly and then committed the rest of the events out of sheer guilt. Maybe he initially thought of covering up the crime, as can be seen by his conversations with a co-worker on Saturday where he tells the co-worker that he overslept and therefore missed the flight for that night’s house show. He even told the co-worker that his wife and kid were suffering from food poisoning. This shows that he was capable of making up stories at the time and hence not as completely out of mind as commonly believed. Adding to the mystery of it all is an entry in wikipedia.org about the death of Nancy half a day before the police even found her body. Some one had made an entry in it stating that Benoit would be replaced by Johnny Nitro in WWE’s Vengeance show. It continued to state that this was because of the death of his wife Nancy. The IP address of the editor was traced to Stamford Connecticut, the same place where the headquarters of the WWE is located. Could it be that whoever made that post may have some information that the rest of the world does not? Could it even be that the WWE knows more than it is letting on? Only time will tell. Kremlin is undoubtedly the heart of the biggest nation in the world Russia it is a cultural refuge of a nation that has had a long history of blood shed and sufferings under despotic emperors as well as autocratic political figures. Kremlin a fortified complex of 68 acres covered by a wall 2235 meters long and a height of 5 to 19 meters! Churches, armories and palaces all with a long and rich history of their own scramble here to find their place. From the beginning of the 12th century Kremlin has been the nerve center of Russia, with a brief spell when Peter the Great shifted his capital to Peter’s burg alone Kremlin was deprived of that status. When Russia emerged as the capital of world’s communism, Kremlin had the role of managing that ideology world wide! In its centuries old history it has witnessed numerous often horrific dramas in the corridors of power; either religious or political. Despite the horrendous course of history Kremlin had to undergo its towers remain as a feast to the eye of onlookers, because they are such works of art; so unique and unparalleled. 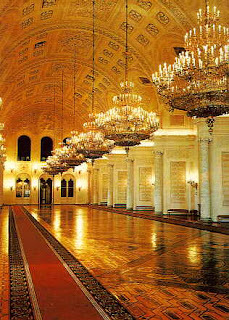 Kremlin is the official residence of the president of Russia; it was Peter Metropolitan of Rus who moved the seat from Kiev to Moscow. had been destroyed several times but it always woke up from the ashes as fresh and beautiful maiden in her teens. The complex existed even before it came to be known as Kremlin (former name was Grad, name Kremlin from 1331), the first to do extensive beautification and considerable extension works was Dolgorukiy in 1156. The ‘credit’ destroying Kremlin first goes to the Mongols on 1237, but got it rebuilt in 1339. 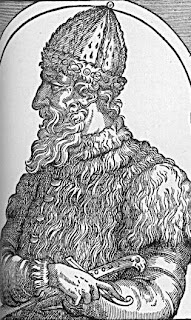 1462 -1505 was the golden times Ivan the Great on the helm Kremlin rose to the nerve center of whole Russia. Ivan defiantly tore off the binding agreement with Mongolia and declared it free to look after its own affairs. 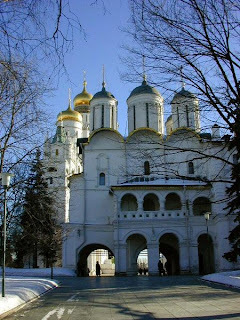 It was Ivan who rebuilt the unique cathedrals, and palaces and armories in the fortress. He brought skilled architects from Italy for the purpose Pierto Antonio Solari and Marco Rufo were prominent among them. 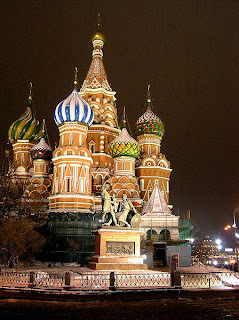 Kremlin remained in this glory until Peter the Great shifted the capital to Petersburg. The French army under Napoleon invaded and occupied Kremlin for a period (September 2nd to October 11th). 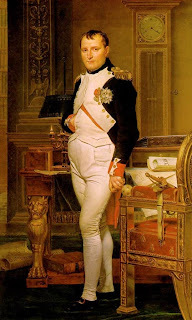 At the time of his retreat Napoleon ordered to blow up the entire structure; and Kremlin burned for three days (21 -23 October) finally a timely rain put out the fire. Several towers and valuable archives were lost in this ghastly incident. As usual this damage was also repaired under architect Osip Bave during the period of Alexander 1. 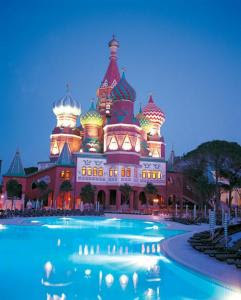 Kremlin emerged in a more beautiful shape in its neo gothic style. 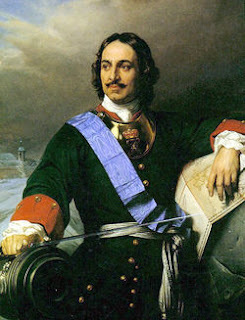 It was built by Peter the Great, for the storage of weapons it gradually gained the status of a repository of the exquisite materials of the royal palace. With the retreat of Napoleon it served as an exhibition hall for the weapons captured for the Napoleon’s army (Grande Armee). The real weapons shifted to Peter’s burg had been returned to here on 1851. The armory has one of the richest holding of very valuable as well as the rarest materials on earth like the Orlov diamond that weighs 190 carats. This is a modern building built by Khrushchev former Soviet premier in 1961. 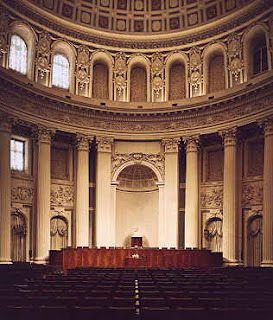 This has an auditorium with a seating capacity of 6000 and serves for the congresses of Communist Party held annually. Monumental bas relief (sculptures partly projecting out of walls) of Lenin’s face with radiation of light is a prominent work catches viewer’s attraction. 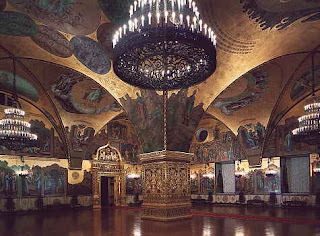 The big public space constructed by Ivan the Great; it is the representative of the Tsarist regime. Nobilities of that time used to assemble here and high profile ceremonies like coronation etc used to be held here. Cathedral of 12 Apostles and Church of Deposition (domestic churches). 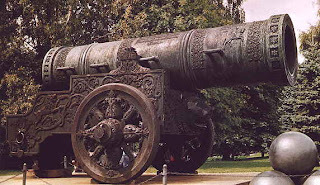 These two are world’s most cherished possessions stored in the Kremlin, the cannon the biggest in the world (890 mm caliber) has never been used, its barrel is five meter long and the cannon weighs 40 tons! Its barrel is decorated with artworks like a fight between lion and snake. 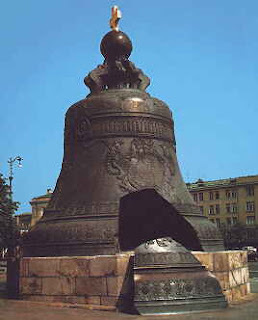 The bell the largest in the world weighs 200 tons! Built by Empress Anna in 1737 it fell from the cast and cracked, it could never ring as the cannon could never fire! 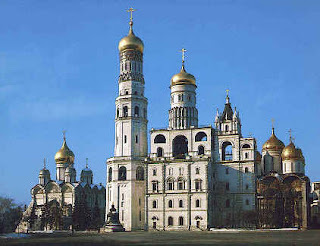 The tallest structure of Russia, made of white stones with shining gilt-dome, it is recorded that its construction lasted the whole of the 16th century. Built by Ivan 1 in 1330 is the oldest of all structures and the biggest, built by the Italian architect Fioravanti from Bologna. After the construction when Fioravanti asked permission to go home the Emperor imprisoned him until death! 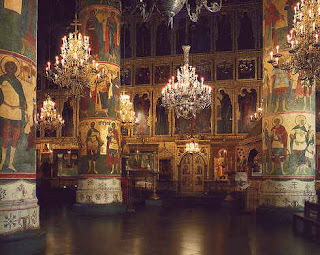 At present it serves as the seat of Russian Orthodox Church. These palaces are not open to visitors of which Terem palace the oldest, the Faceted Palace was built by Ivan -3. 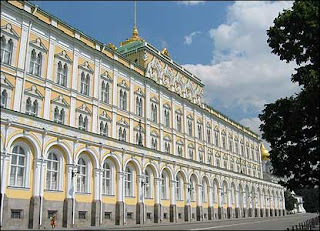 The third the Great Kremlin Palace built in the 19th century was for the residence of Nicholas 1. 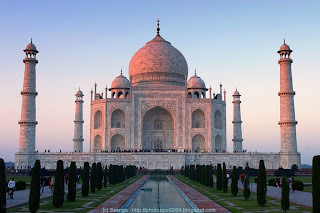 It is a fact that most of the remarkable constructions in the world are either of the kings (palaces, armory or forts) or of the gods (temples, church or mosques). The specialty with Kremlin is that it is a fort, a group of palaces as well as a group of cathedrals, or in other words a full-fledged city within a city. The onion-shaped spires of Kremlin stands as a wonderful spectacle even among a million structures easily identifiable for its colorful domes and looks rather crowded from a distance as if flower-buds placed in a pot and gives the an unworldly feeling to the spectators. I think its appropriate to remember the lone wrestler who spoke for the wrestling community and was subsequently fired for doing so. 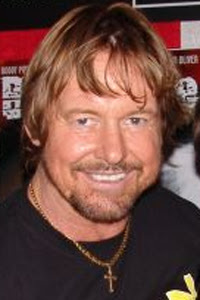 Roddy Piper - "Rowdy" . The HBO's Real Sports with Bryant Gumble covered a story about the death rate among wrestlers. and That segment featured Vince McMahon mocking the interviewer and slapping the notes from his hands. Although wrestling is fake and should be viewed strictly as an entertainer one thing thats not so entertaining about wrestling is the death rate among wrestlers which is alarmingly high. Comprehensive list of deceased professional wrestlers. Angkor Wat – the only structure to appear in a national flag. 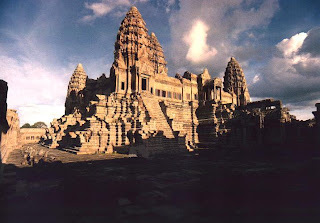 For centuries peasants of Cambodia tell about a legend about the city that became uninhabited and lost in the dense forest and grand parents used to pass the intriguing story about the unknown ghost town lost for ever. It just remained as a nanny’s tale and children alone believed it. 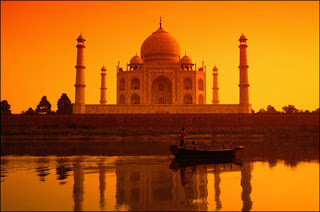 “Once upon a time there came a Brahmin from distant India (the head office of all mythologies). He stayed in the forests for doing ‘tapas’ (worshipping god observing all the rituals and other paraphernalia). One day an ‘apsaras’ (a form of angel) visited him and they finally became man and wife! 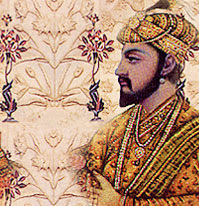 When children were born to the couple the Brahmin built a city and made his son its king, thus the Funan kingdom was born. Legend of Zagab and a foolish king. Kambuja (old name for Cambodia) was ruled by one young and impetuous king he boasted of cutting out the head of Zagab (king of the neighboring country – Java). News about his prattles reached king Zagab’s ears and he was enraged. Zagab invaded Kambuja got the head of the foolish king and returned, before returning he posted a wise young man as the king of Kambuja. It is this young ruler who became Jayavarman the forerunner of Varman Dynasty to which Suryavarman belonged. 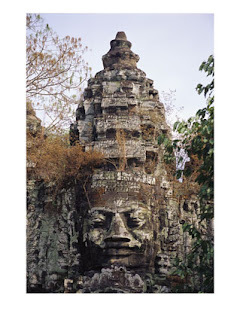 The Angkor temple is the old City of Funan that was lost in the forest; as per the legends. It is located about five and a half kilometers from Seam Reap city. Well known for its walls with well decorated and beautiful ‘bas reliefs’ (images which partially project out of a wall or any plain surface as carvings in Indian temples) of goddesses as in almost all ancient Hindu temples. Some of the bas reliefs are incomplete giving suspicions to experts that the king would have died while the works were in progress and would have got stopped at that stage. Angkor Wat is construction made as per the typical Khmer style of architecture, was mainly based on sandstone and not on laterite of granite. This temple has a moat (a deep trench dug around as a measure of protection) within it comes the outer wall 1025 meter long and 802 meter broad and a height of 4.5 meters! Entry to inside restricted through a sand-bank from the east and stone causeway from the west. It is a pity that no inscription could be found anywhere regarding the temple. Antonia da Magdalene a Portuguese traveler of 1586 has written “It is such an extraordinary construction that it is not possible to describe it with a pen, particularly since it is like no other building in the world. 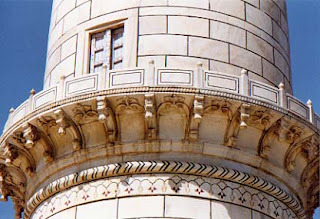 It has towers and decoration and all refinements which the human genius can conceive of”. From 14th century this structure was converted for Theravada Buddhist use (Theravada Buddhism is an ancestral school of Buddhism that existed many parts of the world). 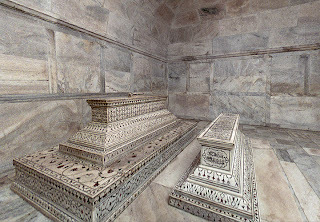 This temple is oriented towards west and there are opinions among scholars that Suryvarman has built it as his funerary temple, some tray with ash recovered also added credence to this theory, the bas reliefs were preceding in anti-clockwise direction is said to indicate with funeral ceremonies. 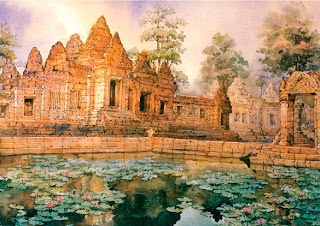 There are other schools of thought that in Cambodia there are several temples with western orientation. Angkor Wat has many praises to its credit it has been compared to ancient structures of Greece and Rome “Angkor Wat temple attain classic perfection by the restraint monumentality of its finely balanced elements and the precise arrangement of its proportions, it is a work of power, unity and style” Maurice Glaize conservator of Angkor Wat. 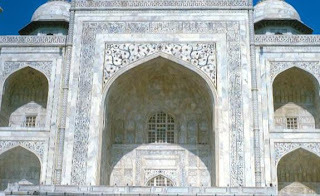 Architecturally the style include the ogival (curved surface like edge of a bullet), towers shaped like lotus buds; half galleries broaden passage-ways; axial galleries connecting enclosures. Most of the visible structures made of sand-stones, laterite used only for outer wall or parts not visible. The binding material not yet identified; may be some resin or soaked lime. The outer wall of the temple encloses 203 acres, in it the temple proper stands on a terrace with three rectangular galleries rising to a central tower. The inner wall bears a series of bas reliefs depicting scenes from Hindu Epics like Ramayana and Maha Bharata. The Battle between Sri Ram and Ravana, The Kurukshetra war are only some of the scenes. The Southern Gallery shows the procession led by Suryavarman -2 along with the 32 hells and the 37 heavens as per the Hindu Myths. Where are eastern gallery bears the most beautiful sculpture the churning of the ocean of milk (Palazhi, Pal = milk and azhi = sea), in which 92 demons (assuras) on and 88 demigods (devas) wait on both parts of Vishnu who churn the sea using Vasuki (a giant mythical snake) as rope, while Indra (the chief of the demigods) watches from the top. The present government of Cambodia has recognized the value of this structure and its power to attract tourists from all over the world. Hence massive restoration works with experts in the field is being undertaken as previous half hearted attempts with the engagement of poorly skilled agencies have done more damages than repair to those invaluable structures. 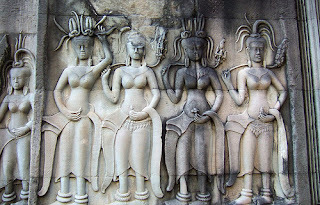 At present the ‘German Apsara Conservation Project’ is engaged in the conservation project (Angkor Wat is part of the World Heritage Site established in 1992). As twenty percent of the sculptures is in bad shape their restoration is a daunting task. While the Japanese team has completed the work on the library building on the outer skirts in 2005 creditably. The world has only just begun to recognize the potential of this magnificent temple structure and the influx of tourists has exceeded millions filling the coffers of the government. 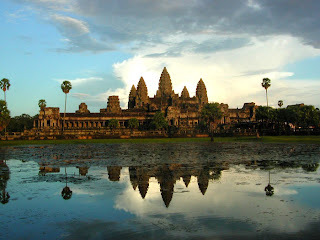 Let Angkor Wat remain as long as there are the oceans and the mountains! 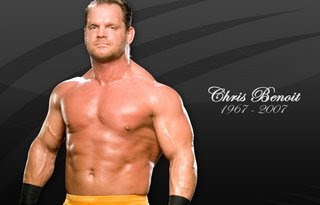 Chris Benoit's death a murder or suicide? Chris Benoit, his wife Nancy and his 7 year old son Daniel have been found dead in their Fayetville, Ga. Home. Police has not given out any details regarding the family’s death. Already investigating authorities have stated that they are treating this as a homicide-suicide case. They have also stated that nothing can be confirmed until evidence was examined by a crime lab. A local TV station is reporting that the investigators believe that Benoit murdered his wife and kids before taking his own lives. Wrestling fans all over the world must be shocked by the news of the Chris Benoit being found dead. This brings a surge of questions to ones mind like how did chris benoit die, is chris benoits death murder or is it suicide, who killed chris benoit ?, The relationship between Vince McMahon & Chris Benoit, Why did Chris Benoit cummit Suicide ? etc. He has always been admired as one of the greatest workers in pro-wrestling. His best of 7 matches against Booker T during his WCW days raised the bar as far technique goes. He was one of those wrestlers who appealed to the purists and his career was a success wherever he went. 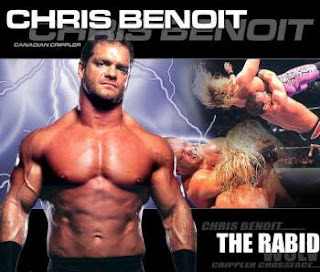 It is also reported that Chris Benoit missed the pay-per-view ‘Vengeance’show of the WWE last weekend. 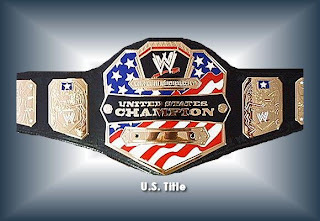 It is reported that he was supposed to win the ECW title. During the show it was reported that he couldn’t attend because of ‘Personal Reasons’. His reasons must have been pretty serious for him to have missed such an important event. The signs should have been clear then itself that something was wrong as Benoit would never have a missed a match unless the circumstances were dire. Today another man who has been ‘presumed’ dead announced the death of Chris Benoit and his family. After cancelling Raw, Vince McMahon announced to the world the tragic news, bringing to an end the minority belief that he may be dead for real. So controversial was his death storyline that Vince had to categorically state that Benoit’s tragedy is “Real”. The irony is that this Raw show was billed to be McMahon’s memorial service. Wonder if he has ever heard the saying about tempting fate. Even though we may hate McMahon’s tactics we feel that right now the more pressing matter is to remember the man who gave his whole life to wrestling and thereby tried to entertain us. Know as the crippler and the rabid wolverine he emerged from Stu Hart’s training as one of the most promising wrestlers ever and has lived up to that expectation ever since. In his own words he has said earlier "Wrestling has consumed my life. Wrestling is my mistress. It's my passion. It defines who I am as a person." No other tribute could be greater to the man.